I have no errors, but the three Cassandras pods are not setting up. 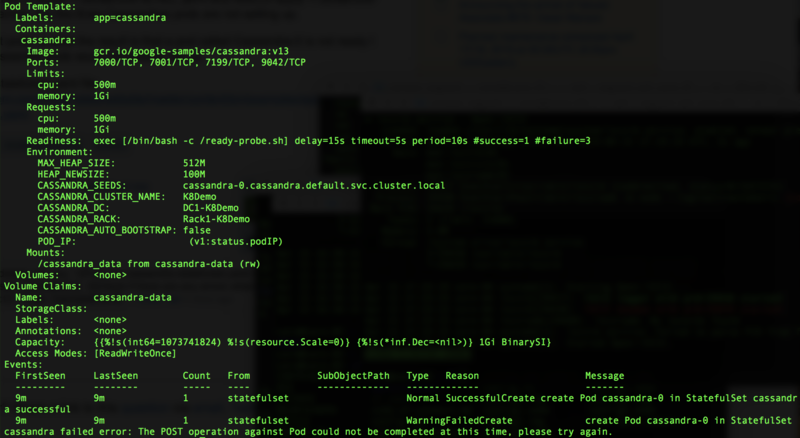 the result is that a pod called Cassandra-0 is not ready. I expected that the Cassandra pods would be already set up. What Kubernetes environment do you use? Do you use Minikube? It seems that cluster cannot create PersistentVolumeClaim. Maybe StorageClass configuration doesn't suit your cluster. So, your cluster should has free 1.5cpu and ~3Gb. Not the answer you're looking for? 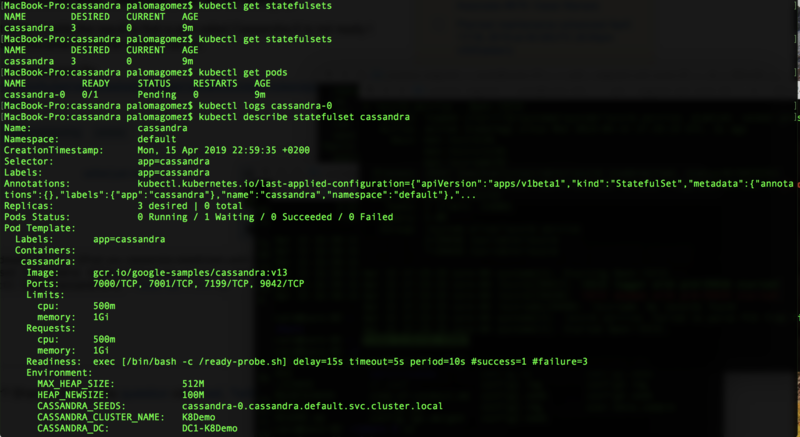 Browse other questions tagged cassandra kubernetes cluster-computing coreos or ask your own question. How to connect Redis cluster from application in Kubernetes cluster?